Levi Strauss first created the modern jean nearly 90 years ago, now with a global brand, successful jeanswear and a large customer base Levis produces an amazing range of clothing to compliment the denim range, with Levis t shirts proving popular among Levis fans. 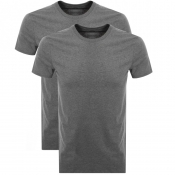 The Levis tshirts all carry the famous red tab logo and large amounts of Levis branding and visual designs to ensure that you are seen in a crowd wearing Levis clothing and jeans. Why not check out the current range of Levis t-shirts at authorised stockists of Levis Mainline Menswear, the collection certainly won't disappoint, so what are you waiting for? Best Jeans For Men | Which Type of Jeans Should You Wear? Levi Strauss first created the modern jean nearly 90 years ago, now with a global brand, successful jeanswear and a large customer base. Levis produces an amazing range of clothing to compliment the denim range, with Levis t shirts proving popular among Levis fans. 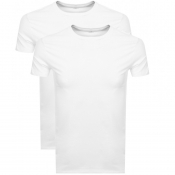 The Levis tshirts all carry the famous red tab logo and large amounts of Levis branding and visual designs to ensure that you are seen in a crowd. wearing Levis clothing and jeans.